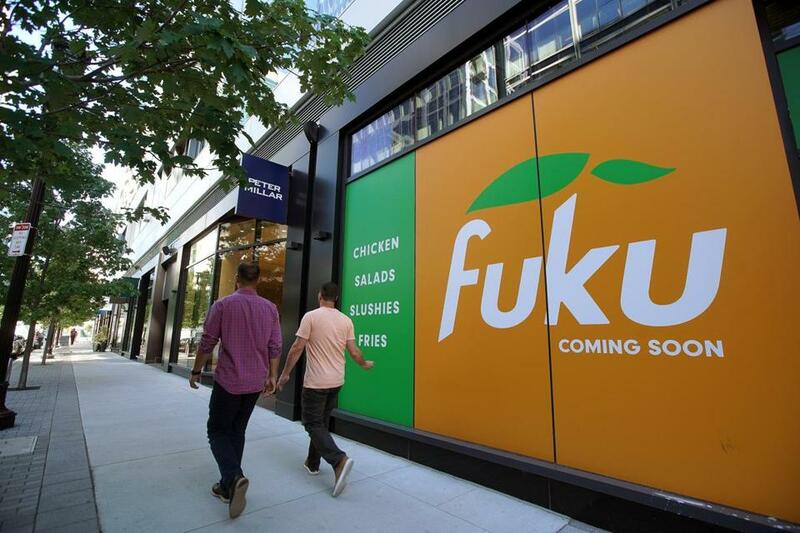 Fuku comes to the One Seaport building later this year. Fried chicken from one of New York City’s most celebrated chefs makes a cameo appearance in Central Square this week. Fuku, the much-admired East Village sandwich shop started by David Chang, pops up at Little Donkey (505 Massachusetts Ave. in Cambridge) on Thursday and Friday. The promotion is a first taste of Fuku’s Seaport menu. Fuku will serve fried chicken, slushies, and fries. The pop-up menu features a $10 “Snack Box” with jalapeño crispy chicken bites and squash pakora fritters. Add a yuzu slushie for $13. The meal is available at lunch and dinner alongside Little Donkey’s regular tapas dishes. Fuku comes to the One Seaport building (43 Northern Ave. at Fan Pier Boulevard) later this year. Chang helms the Momofuku empire, with restaurants around the world.